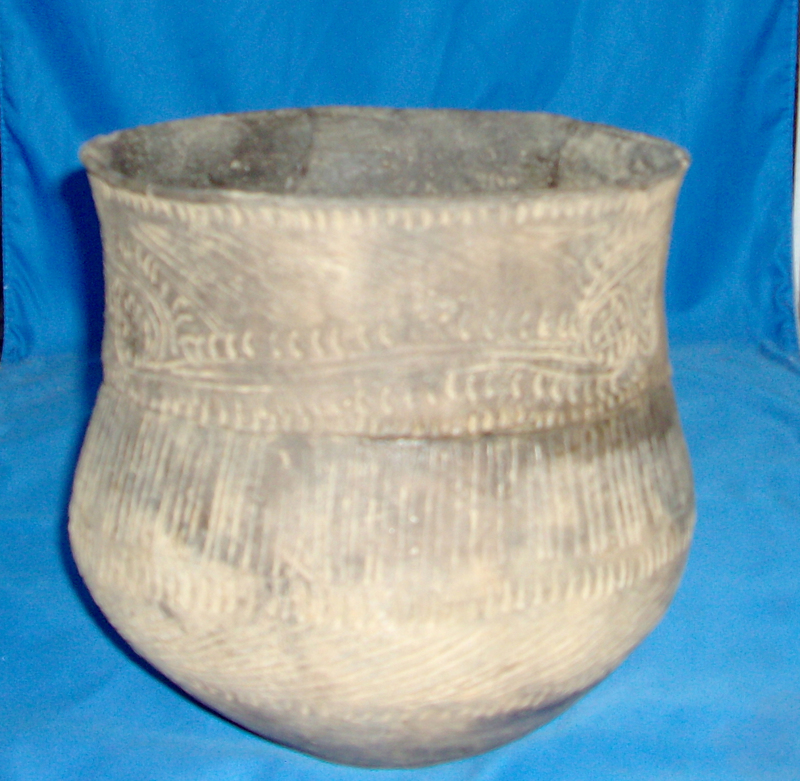 A Large Size, Nicely Incised, Well Made, Caddo Incised Jar That Exhibits Surface Aging Coloration And Clay Patina, Visible Bottom Use Wear, Correct Shape Jar For The Style Incising, Correct Open Pit Firing & Firemarkings, Aged Deposits In The Incising, Aged Surface Grog Deterioration, Correct Material And Manufacture For The Area Found. Ex-Jack Bonds Collection. This Large, Highly Collectable Example Is Possibly A Military Road Vessel, Or Closely Related, Pressure Cracked And Glued! Includes A Ken Partain Certificate Of Authenticity!